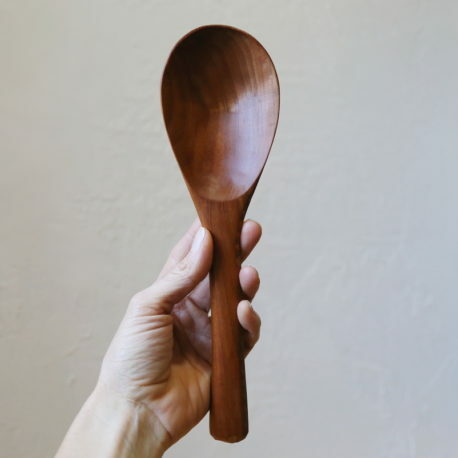 A large spoon for stirring and serving. 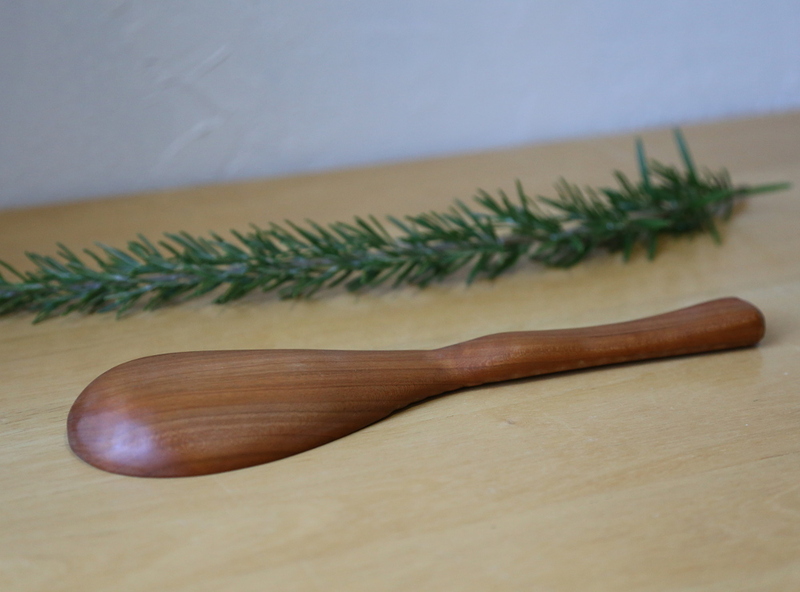 Carved by hand from a piece of cherry, sanded silky smooth, and finished with our wood salve made with walnut oil and beeswax. 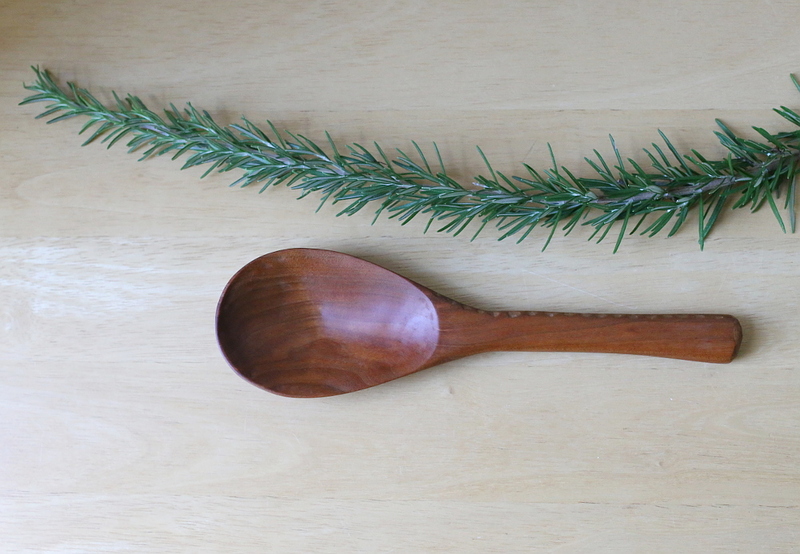 The shape of this spoon has been a favorite in our home for years. 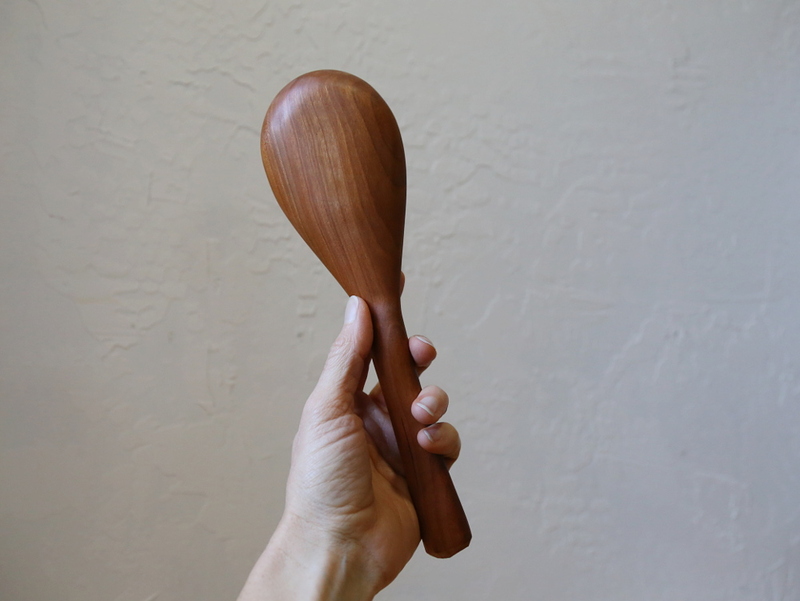 Useful for stirring as well as serving, and a length that feels just right in the hand. 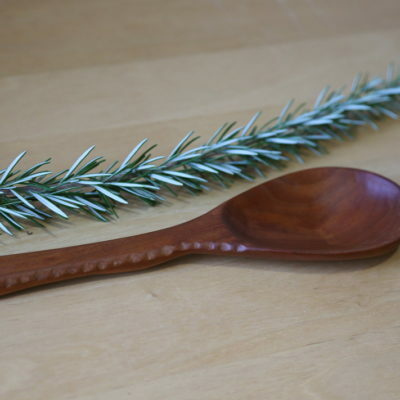 It takes many hours to complete a hand carved spoon. 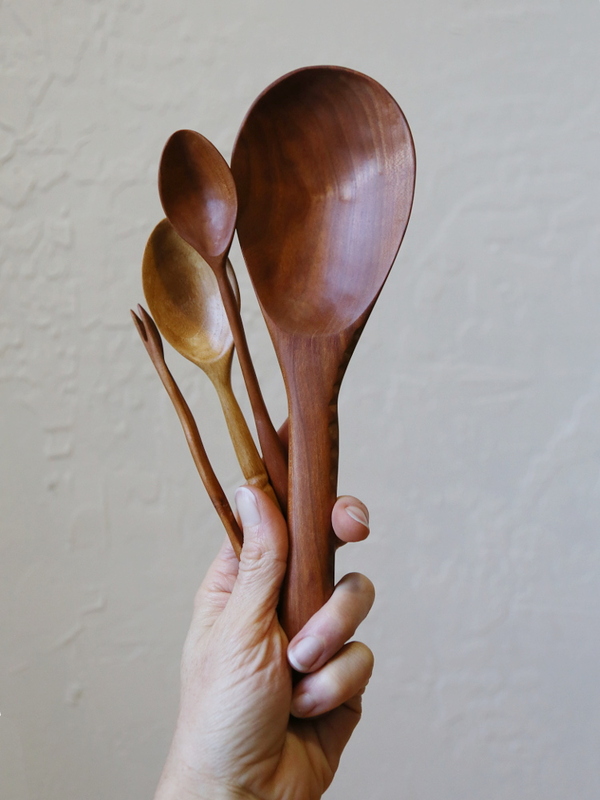 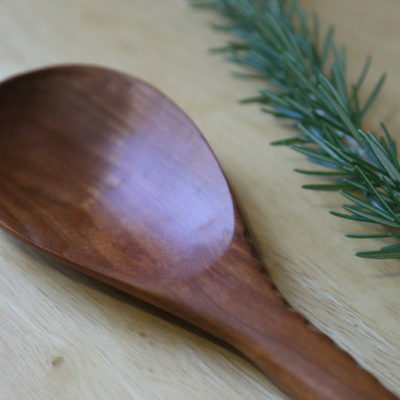 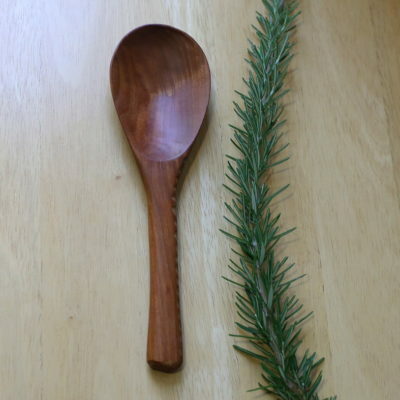 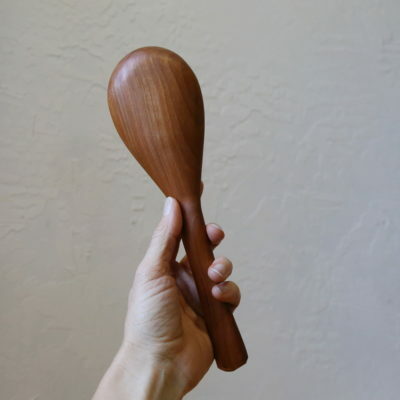 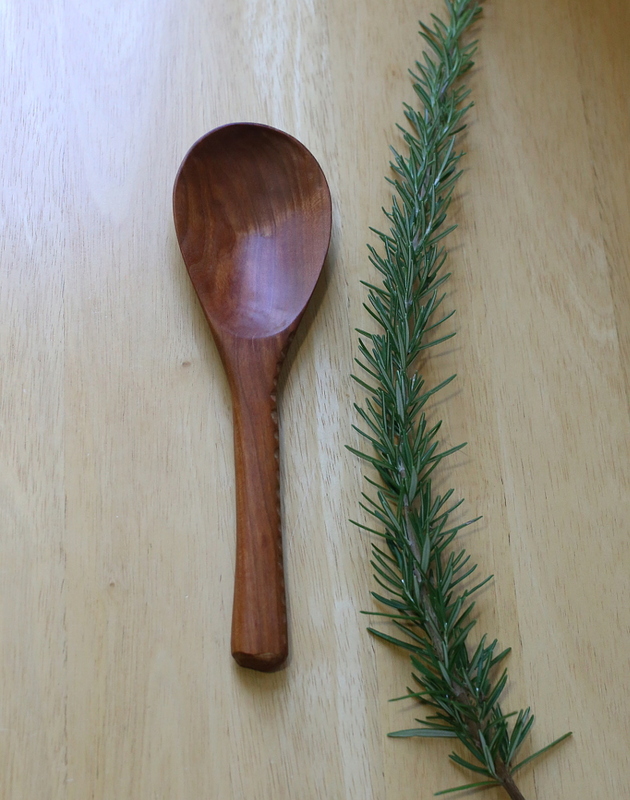 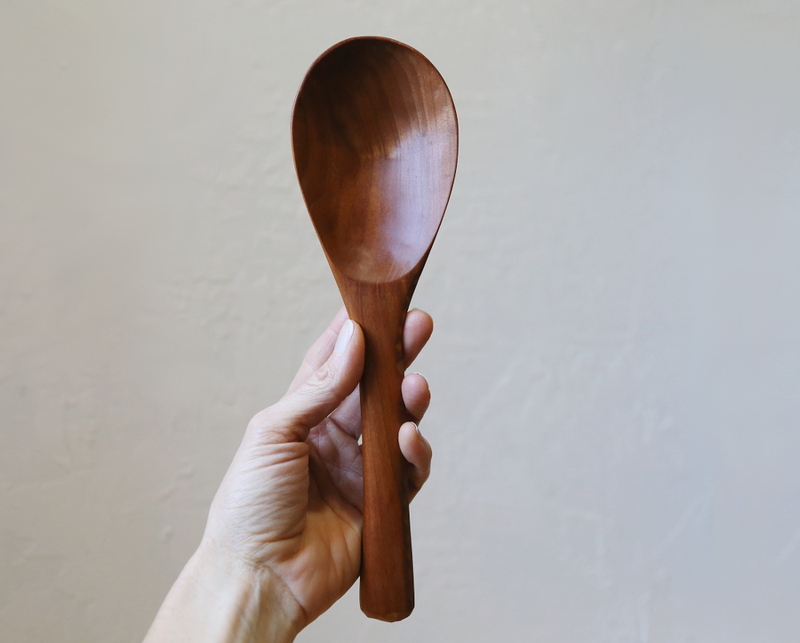 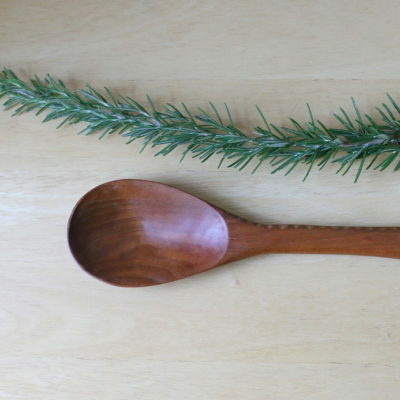 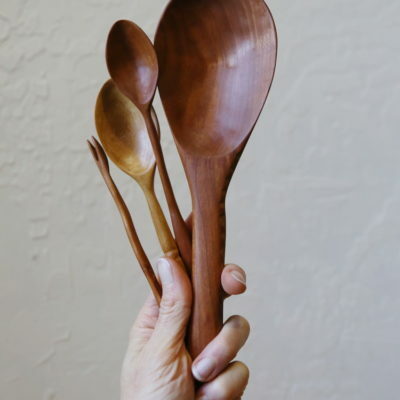 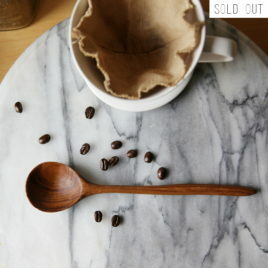 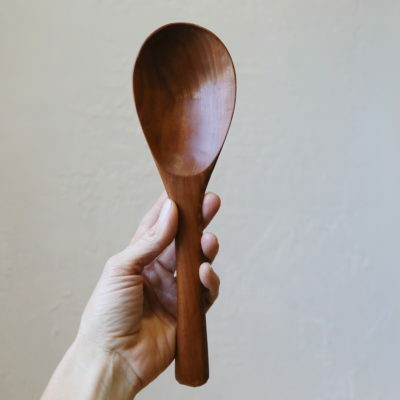 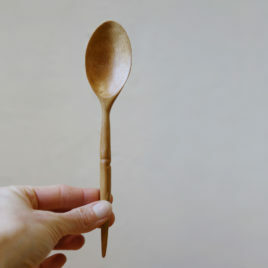 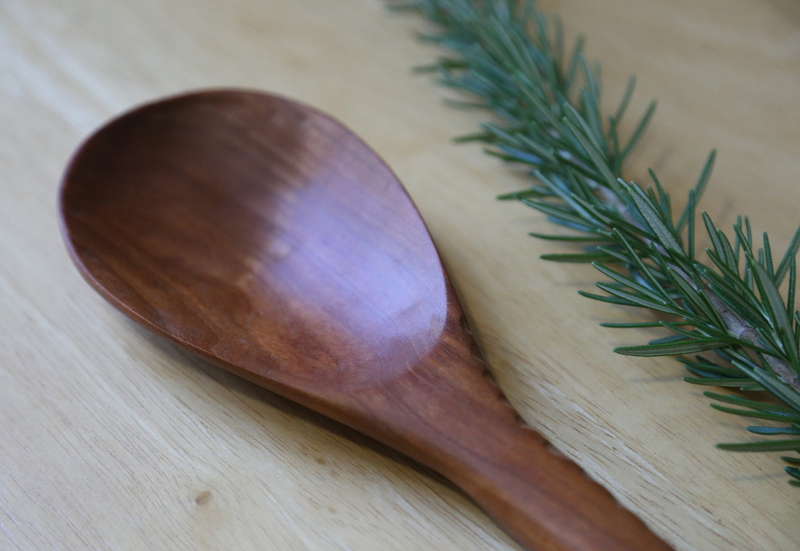 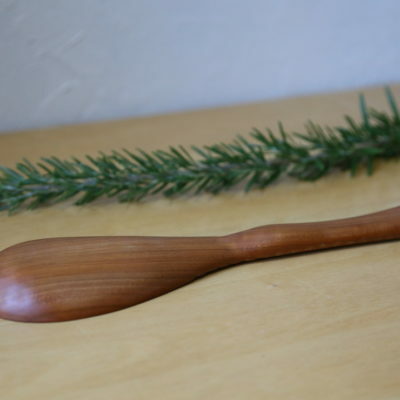 The hope is that this handmade spoon will be used for a lifetime; a useful heirloom in your home. 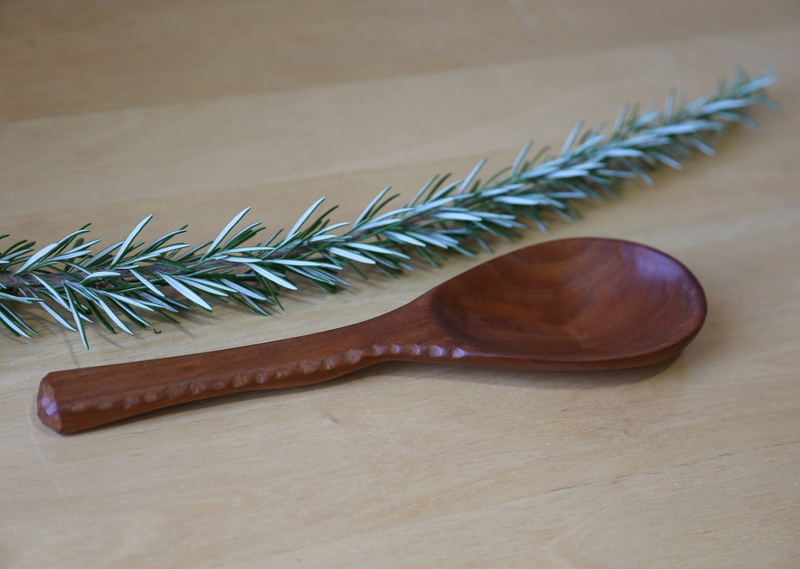 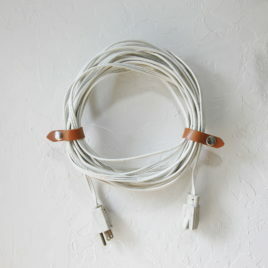 Measures 10 1/4″ long x 3″ wide. 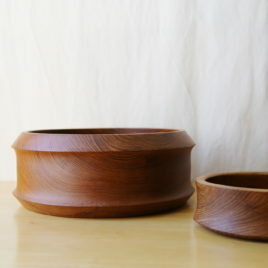 The bowl is approximately 3/4″ deep.